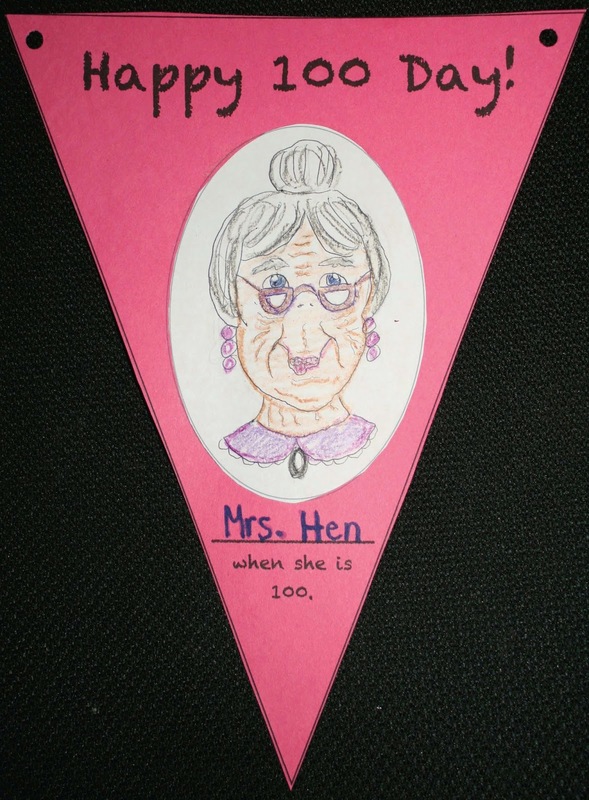 This pennant banner is a quick, easy and super-fun craftivity for your 100 Day celebration. 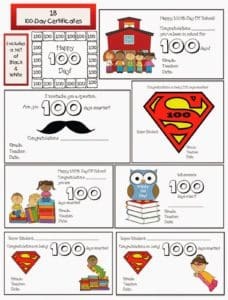 Children can draw their own picture of what they’ll look like at 100, or take their picture and “age” it with an App. I’ve included links & information about “aging” APPs in the packet. 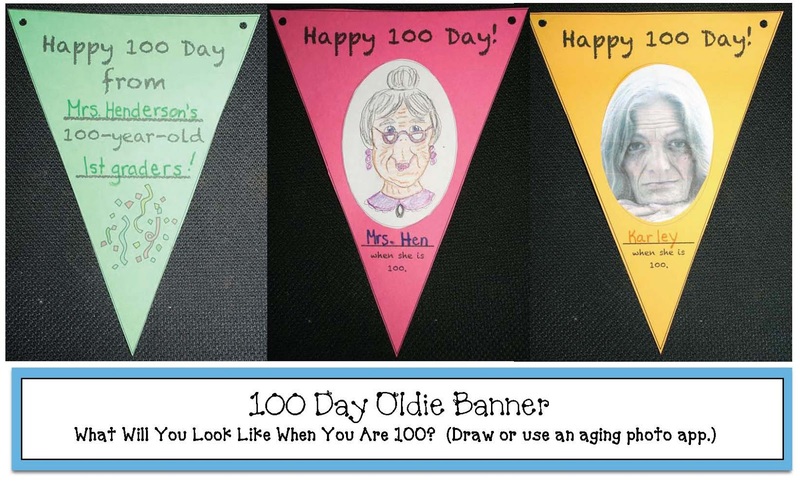 Click on the link to get the “Oldie” But Goodie, 100-Day Banner Craftivity. 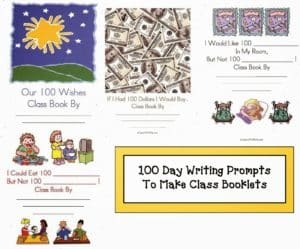 It’s today’s featured FREEBIE.